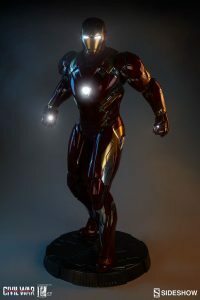 Sideshow’s New Legendary Format Iron Man Statue Is Ready for Pre-Order! The Legendary Format Iron Man Statue will be an incredible 1:2 scale. 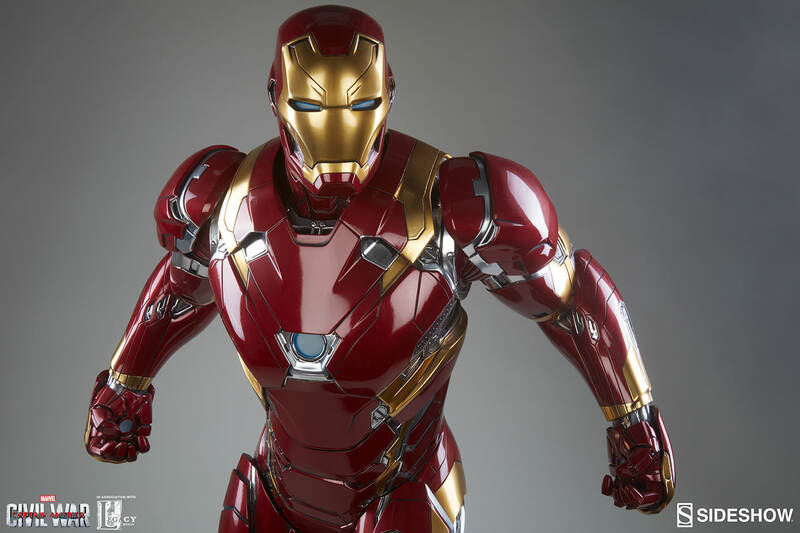 Finally, the Iron Man Mark XLVI joins Sideshow’s line of Legendary Scale™Figures. The huge figure lights up, and looks like its made out of a gold-titanium alloy, but is really made out of resin, fiberglass, and high-quality PVC. 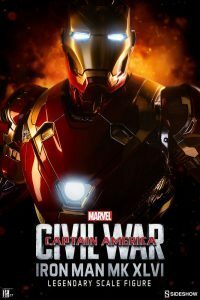 This is the 46th inception of the Iron Man suit featured in Captain America: Civil War, and shows Tony posing with his arms slightly back, tensed and ready to leap into battle. 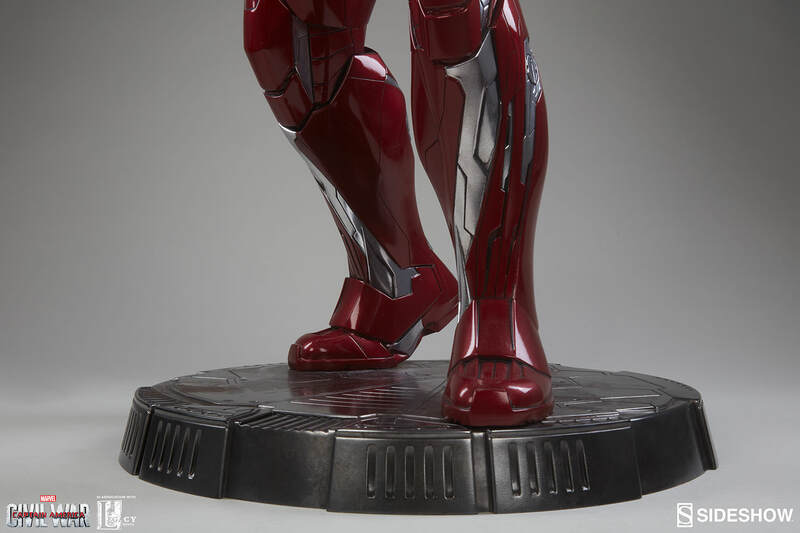 The super rad statue is posed on a round metal base that is sculpted to look like the futuristic but industrial vibe of the Iron Man suit and Tony’s house and workshop in Stark Tower! How big is the Legendary Format Iron Man Statue going to be? 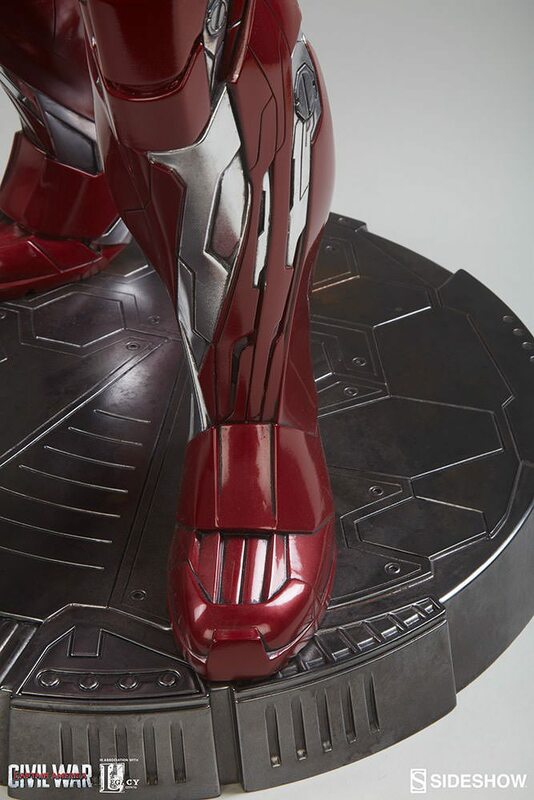 The statue will stand at a remarkable 38″ tall, bigger than most… young… children? How tall are kids nowadays? Regardless, it’s very tall. I wouldn’t recommend carrying it around, but if you really want to, it’s 35 lbs. Are the LED things battery-powered? Do you have to plug the statue in? How can this much awesomeness be powered with a pathetic municipal energy grid?! How much does the Mark XLVI suit cost? You may have been thinking, “Wow, this is so rad, it’s probably really expensive!” But don’t worry, it’s your lucky day. The Legendary Format Iron Man Statue is selling for the low, low price of only $2,300, and will start shipping between November and December 2017. Pick up yours here! And don’t forget to check out the pictures of the Marvel Iron Man Mark XLVI Marvel Legendary Scale(TM) Figure below! 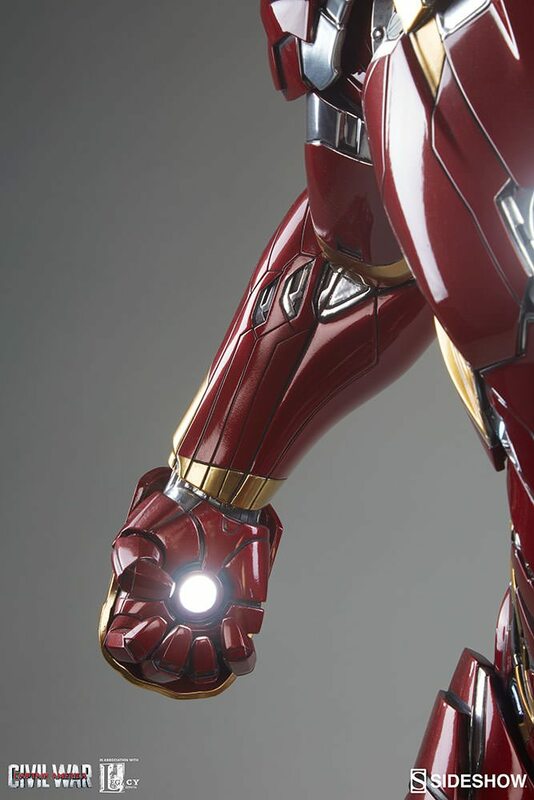 The latest cover for Iron Man Vogue. Hahaha, I can’t do this anymore. Check out the base! Technically laser beams don’t actually make sounds ’cause they’re emitting light but… PEW PEW PEW! 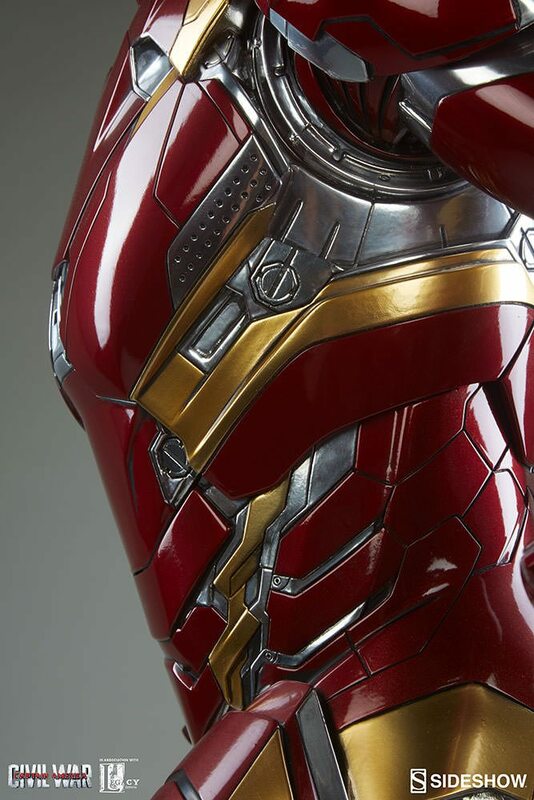 Every day is chest day for Tony Stark. 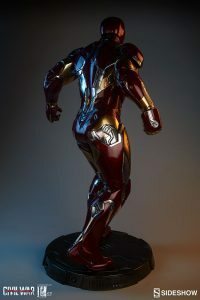 There are a lot of Iron Man figures and statues out there. 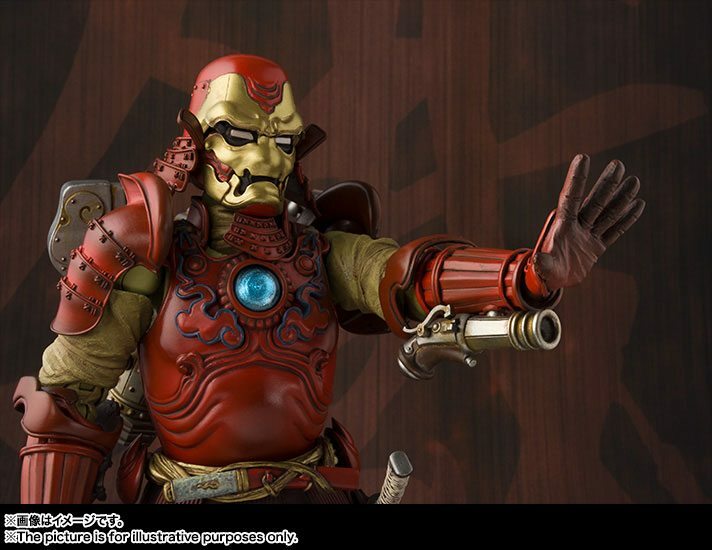 So, in order to stand out, you’ve got to bring something to the table, like reimagining Iron Man as a Samurai. 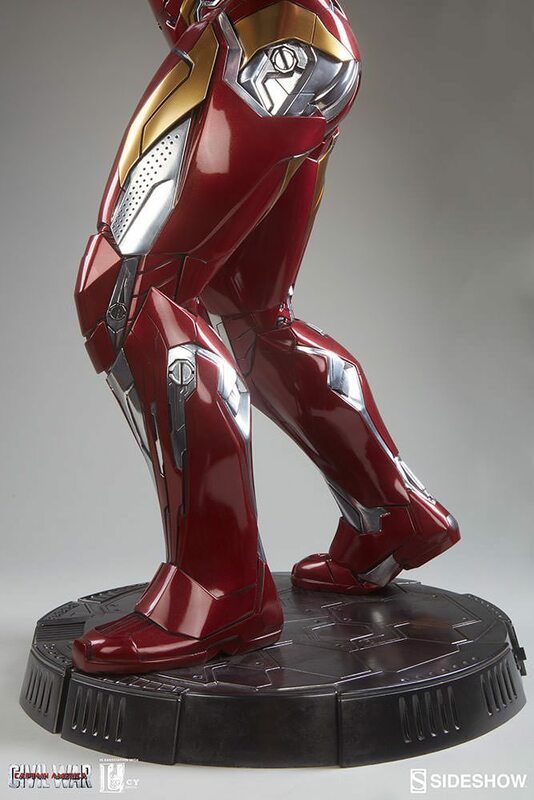 Or, in the case of Sideshow Collectibles, you just make sure yours literally towers over the rest. Pre-orders for their new Legendary Format Iron Man statue go live tomorrow. More details and photos should be available within the next few days (check back! 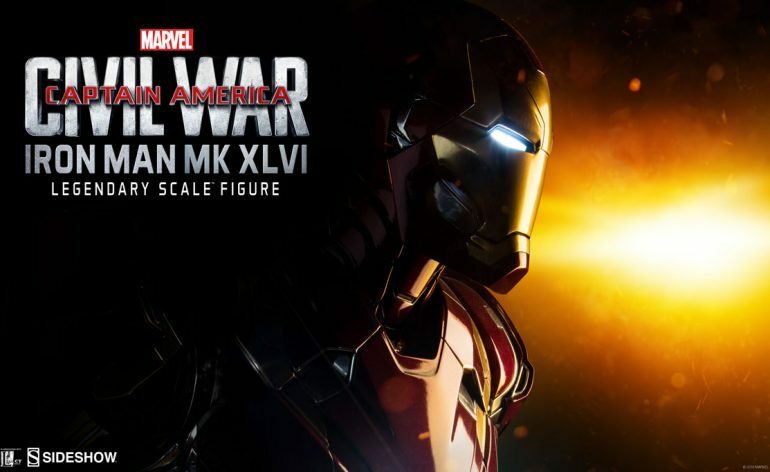 ), but we do know it’s going to be 1:2 scale and that previous characters in the line have stood well over 40 inches, so this one is likely to be pretty epic. Oh, and for those keeping track of armor versions, this one has Iron Man’s Mark XLVI armor. Kotobukiya’s Agent Venom ARTFX Statue is Available for Pre-Order!